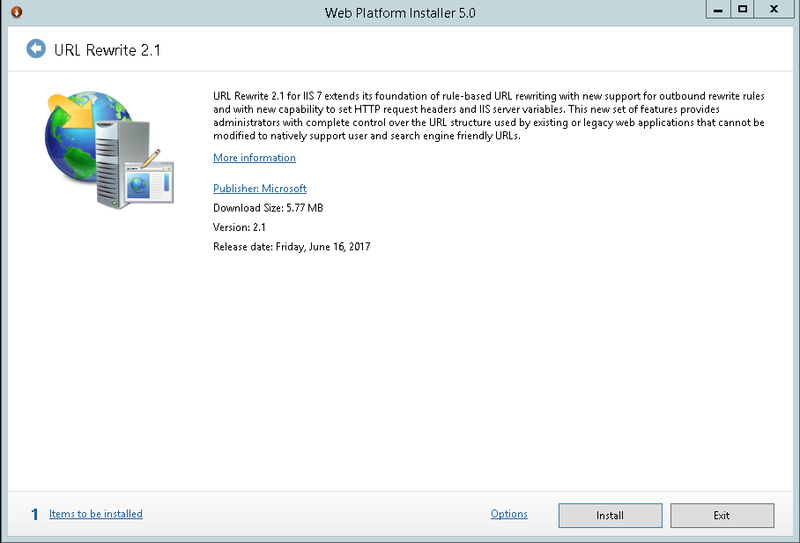 URL Rewrite is Windows IIS (Internet Information Service) web server's module, which allows to easily create URL rewrite rules to manage links on your website. 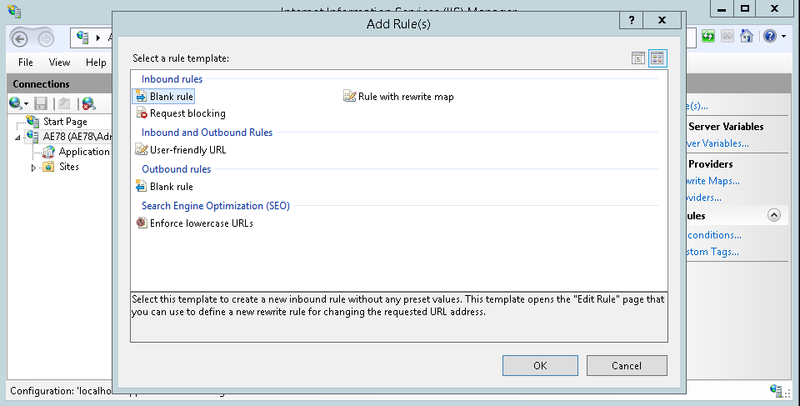 To use this module you need to enable it in IIS. 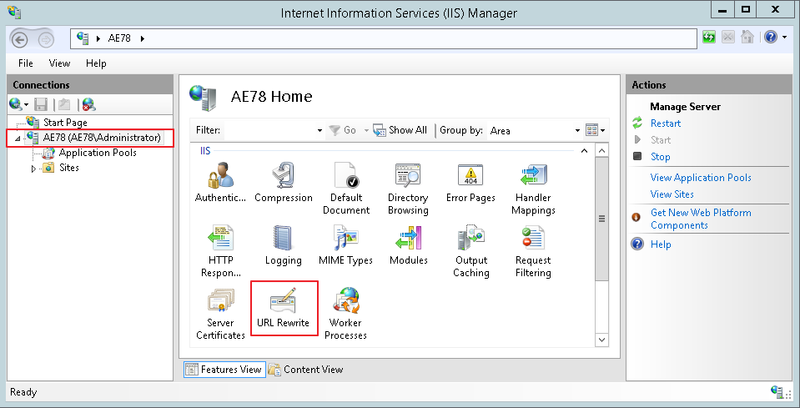 In order to do so you may have a Windows VPS server and IIS installed to it. 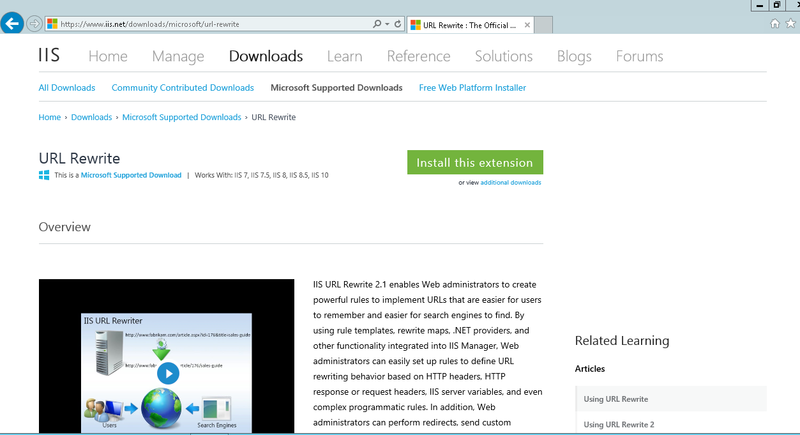 First of all you need to download URL Rewrite module - it could be done by opening in server's browser this link. Press button "Install this extension" and save file to the server. Information how to create rules could be found here.